I’ve had a lot of people ask me, “what is journalist photography?” This photo is a great example of what journalistic photography is. When I go to shoot a wedding, or a family shoot, or any shoot, there are times when I need to set up the family or the bridal party in order to make sure that we get the portraits that the family is looking for. But I’m always looking for shots like this. This shot happened at a wedding in Vermont in the summer of 2009. 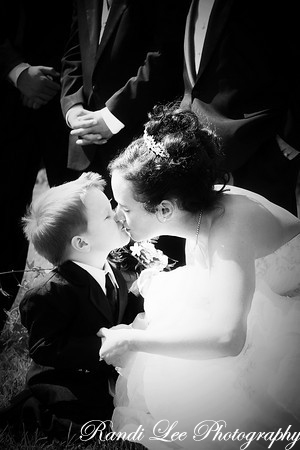 In the middle of shooting the bride’s nephew came over and gave her a kiss. It was absolutely adorable and thankfully I had my camera at the ready. If you’re looking for a Vermont photographer for your wedding, keep in mind that sometimes, the best photos to come out of the photographer’s camera are the ones that you least expected to see!